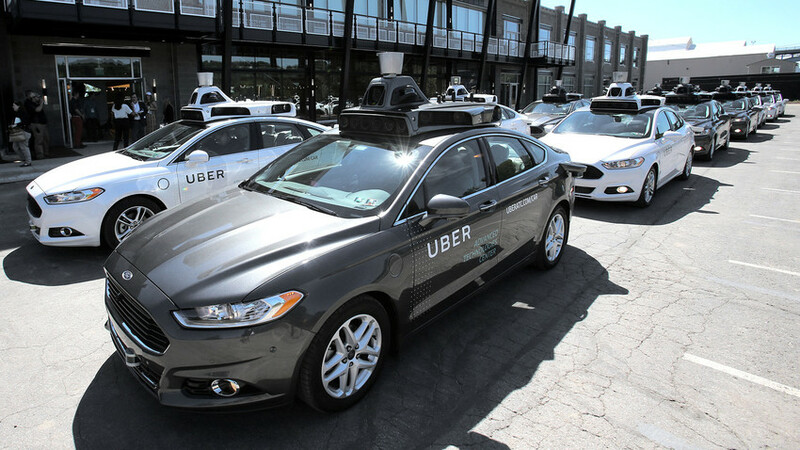 After a driverless Uber car hit and killed a pedestrian in Tempe, Arizona, the autonomous car industry across the globe is facing much criticism. This car technology is at an early stage of development and it’s too early to think of living a fantasy. Across the world people can’t wait to ride in a driverless vehicle, and 56 percent of Russians saying they'd like to test such a car, according to Cognitive Technologies, the Moscow-based AI developer. Last year, the company conducted a survey of 33,000 respondents, and the biggest supporters of driverless technology in Russia are people over 50. What do Russians really think? Russia Beyond talked to a few ordinary citizens, and opinions differ regarding driverless tech in Russia. Maria Alferova, a radio producer, is excited to try the new technology, and the incident in Arizona didn't scare her: "Hopefully, developers will fix the technology before driverless cars go into mass production," she said. "I'd certainly try this; I am up for any innovation," entrepreneur Ivan Terekhin told Russia Beyond. "I like the idea; sometimes you need to talk on the phone, or feed the baby," said Nadya Solovieva, a mother of two. "Overall, I really like to drive, so I'm not ready to give away this joy." Others are more skeptical, however. "It's not my car hitting someone else that I'm worried about, but someone else hitting me," Nikola Valeev, a fundraising manager told Russia Beyond. "I am prepared to use the driverless cars only on certain occasions, such as after a night out on the town," said Ivan Varolin, marketing specialist. "Otherwise, I like to be in total control of the car, especially when choosing the route. I even rarely trust the GPS." Olga Uskova, head of Cognitive Technologies, believes tech companies are obsessed with promoting their technological achievements, when in fact there’s not much to speak of. “The advertising activity of some new startups, as well as very well-known companies, far outstrips their real technical capabilities,” Uskova told Russia Beyond. The incident with Uber is not the first. In January, the prototype created by Phantom AI was in an accident during a demo with TechCrunch journalists, as it crashed into the back of another car. Another awkward moment occurred during the demo of the Faraday Future driverless vehicle at the CES, the largest consumer technology exhibition in Las Vegas. The company's main Chinese investor pressed the button to prompt the car to park itself, but nothing happened. "It is necessary to remember that the main goal of autonomous vehicles is security, and it’s possible to guarantee this only after numerous tests at testing grounds and public roads in various weather conditions," Uskova said, adding that this can’t be achieved in just a couple of years. Uskova is concerned that the policy of AR developers can undermine the credibility of potential users around the world, and recent attacks on driverless cars in California prove her point. According to crash reports filed with California’s Department of Motor Vehicles (DMV), in two incidents angry humans were shouting at and hitting the vehicles. A man attacked a self-driving Chevy Bolt as it waited at a traffic light in San Francisco for pedestrians to cross the road. The vehicle was in self-driving mode, but a human was in the driver’s seat. The attacker ran across the street, struck the left side of the rear bumper, damaging the Chevy’s left tail light. The second incident also involved a self-driving Chevy Bolt in San Francisco with a human driver in control. When the vehicle stopped behind a taxi, the taxi driver got out of his vehicle and assaulted the autonomous car. He hit the front passenger window, leaving a scratch.